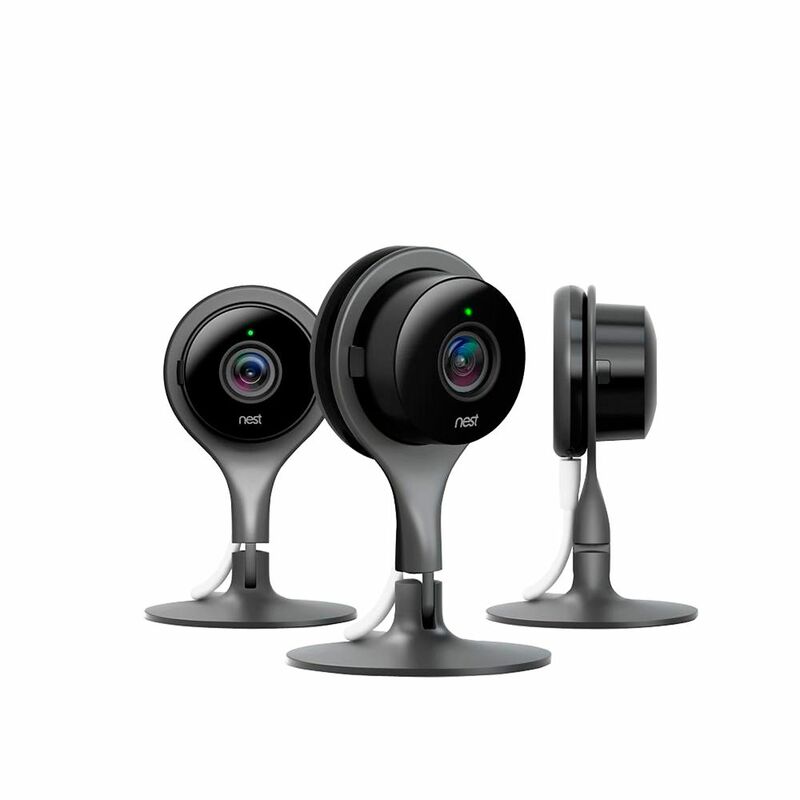 Cam Indoor Security Camera (3-Pack) Meet Nest Cam. Get 3 and look after your whole home. 24/7 live streaming. No dead batteries. No missing moments. This is what a security camera should be. Cam Indoor Security Camera (3-Pack) is rated 4.9 out of 5 by 1131. Rated 5 out of 5 by Ms. Mountain from Best Safe feeling ever From checking on my dogs to feeling secure, Nest is the BEST. Have already added Nest doorbell and soon will add Nest security and outdoor cameras. Rated 5 out of 5 by Tarnesha from Great Product Sleek design. Great sound quality and video. Definitely looking to purchase other products. Rated 5 out of 5 by Serenity from Just set up camera I am very satisfied with my purchase. Rated 5 out of 5 by Stacey K from Nest Cam Bought two of these devices. Easy to install and easy to use. Rated 5 out of 5 by Fabian from Cameras work great. No complaints already forgot about them. So... Cameras work great. No complaints already forgot about them. So far I used them to solve the riddle of who spilled the juice in the living room. Thankfully I haven’t used them for more serious stuff but its definitely a Peace of Mind. Resolution is great. Easy to install. easy to pair.